One of the worse things about my anxiety was that it kept me convinced that there was something medically wrong with me, that I was going to die unexpectedly at any point from a horrible illness, without warning. I remember that as a kid there would be nights where I would be terrified of going to sleep at night, thinking that if I closed my eyes, when I opened them in the morning I would be blind, never able again to see the light. As I grew up and became an adult, things didn’t get better. If a stool was slightly off-color or an itch became too persistent, or if a mole appeared out of nowhere or a new vein painted a fresh line on my arm, I would be immediately calling my doctor and making an appointment, convinced that I was walking into a death sentence. It was that constant fear that was partly to blame for my many years of heavy drinking. The constant torment of anxiety can become unbearable, and anything that temporarily alleviates it is like the log that you hang on to as the strong stream of the elevated river does its best to drown you in the current. I held on to alcohol for dear life sometimes; it was the only thing that could somewhat bring peace to my heart. It was during my third visit in a week when my doctor finally told me that I needed to seek help for my anxiety, as that was pretty much all that was seriously wrong with me. In the meantime, he wrote me a month’s prescription for Xanax, which was supposed to keep me out of his office for the time being, until I was able to see a psychiatrist. I wasn’t too familiar with benzodiazepines at the time, but I was willing it to give it a shot if it would help me in any way. I picked up the pills on the way to the house, and curious to see what would happen, I took one as soon as I walked through the door of my apartment. Up to that point I had been drinking heavily for approximately the past ten years. Every day I would come home from work (when I was employed) and begin my de-stressing routine. When I wasn’t working I would start early in the morning; that’s when I would get the best buzz. The weekends were also usually a blur. The habit had already cost me a marriage, and my second one was on the chopping block. I was unstable and unpredictable, went from job to job constantly, as I couldn’t hold to one for long. I blacked out several nights a week, and hiding the true extent of my addiction was becoming close to impossible. Even then, when I took that first Xanax pill, I walked into a world I had never experienced before. The tremendous peace that it made me feel trumped anything that alcohol had done for me before. When I walked into the doctor’s office three days later to tell him that I had flushed the pills down the toilet by mistake (a lie), he realized that he had made a huge error by writing the prescription in the first place. But whether he gave me another script or not (he didn’t), it didn’t matter, I was already hooked. I began to utilize my menial Internet search skills to try to find an alternate supply of Xanax online. Within two weeks I was signing for a very discrete package that came through the postal mail, from Peru. It contained a postcard, a couple of Peruvian knick knacks and a sealed Vitamin B bottle. It was supposed to look like a simple care package sent from a friend. 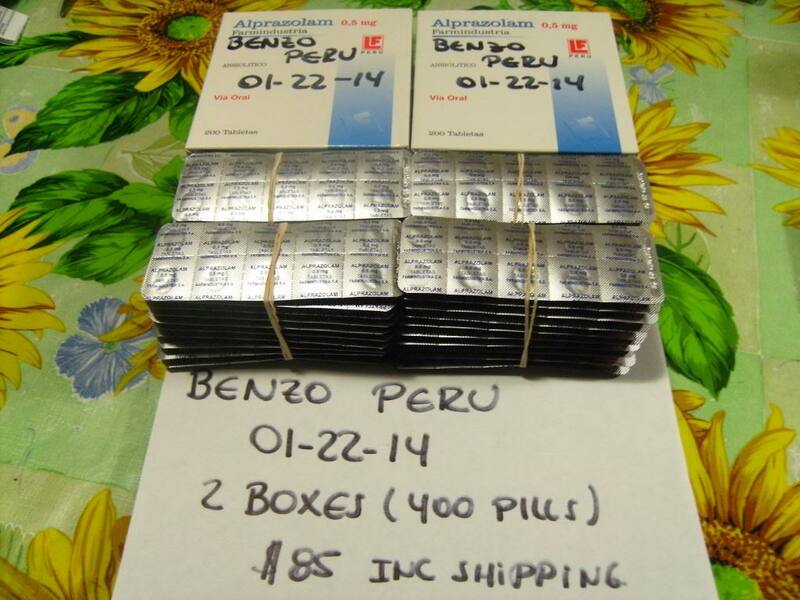 Inside the bottle, however, were four hundred 5 milligram Alprazolam pills, the generic version of Xanax manufactured by a pharma institution in Peru, shipped by a pharmacist that took advantage of the loop holes in his country to earn extra money by illegally shipping a wide array of controlled medication all over the world, through the mail. Needless to say, business was booming. Those first four hundred pills truly changed my life, and not for the better. Having instant, unregulated access to such a high quantity of medication can only mean disaster for an addict. I Immediately began taking high dosages; 2 – 3 milligrams at a time, several times a day. My life became a blur, I only remember a few moments of lucidity throughout those months. I became a shell of a man; a body manipulated by a broken brain, one so highly intoxicated that it couldn’t even find itself. All my efforts quickly centered around two things. Number One: Get more pills before they run out. Number Two: Consume them constantly, make up for all the years of pain and anxiety and fear, numb yourself until you have nothing left to feel. It took my wife around a year before she decided to leave; a year too long if you ask me. In my blacked-out state I wasn’t calm and happy, no, she had to deal with an angry, belligerent, incomprehensible, rude and unconsciously living human being that at times even became violent. She did her best with what little she knew about addiction, I give her credit for that. Still, losing her drove me to the brink of insanity, and pushed my already extensive habit even further down the rabbit hole. I now found myself washing pills down with alcohol, sober only when I slept (sometimes) and doing things I never imagined to continue funding the destruction. It was when I called my mother to let her know that my house had burned down (it hadn’t) and that I needed money to buy new things, that they realized that if they didn’t do something soon I was on the verge of losing my life, or at the very least my sanity. That is how I ended up in the psychiatric floor of Memorial Hospital, going through detox and emotional hell, hurting in every way, having lost all hope and desire to move forward. I didn’t know it at the time, but being in that hospital not only saved my life; it was the best thing that ever happened to me. If you have addictive tendencies, have struggled or are currently struggling with addiction, it is important that you are honest and open with your loved ones and your health care professionals, and if you need medication that can be addictive, like Xanax, please discuss the pro’s and con’s with your doctor before allowing them to write you a script. Sometimes doing this is nearly impossible for us addicts, as the drive for drugs will never allow us to go against its will. That is why you need a support group that knows your situation and knows when to intercede on your behalf, when your frame of mind might not be able to do so clearly. The monster of addiction is an evil and very powerful force. Some experts say that coming off of Xanax is worse than detoxing from Heroin, and I can attest to the torture, one I wouldn’t wish on my worst enemy. It wasn’t worth the few moments of peace that it brought me. If you fell that you may have a problem with addiction, please, seek help. It is not too late. There is hope, and life is so much sweeter on the sobriety side, I promise you. If I was able to do it, trust me, you can too, and the rewards will be many. Don’t give up. 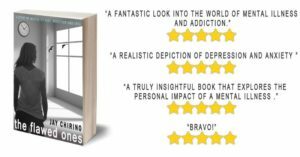 The Flawed Ones is a novel that channels some of my struggles with Xanax and Alcohol addiction. To claim a free digital copy click here.